Seeking Adventure this summer? Embark on the Sourdough Traverse! 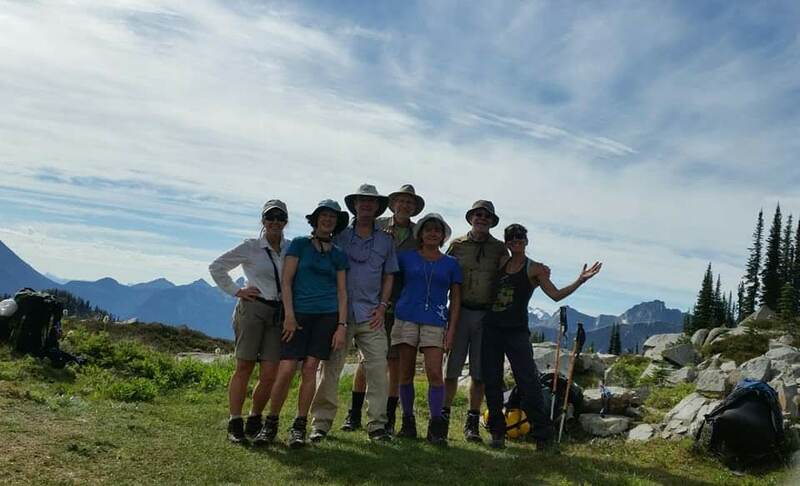 Hike and explore the beautiful Kootenay Mountains with us. New this year is we are offering a 4 day, 2 night backcountry adventure through the Selkirk mountains to end up at Mount Carlyle Backcountry Lodge. The great thing about this hike is you only need your day pack for the whole trek. There will be a stash of tents and cooking gear nestled in the mountains to await you. Sleep under the stars and wake with the sun. The third night you will arrive at Mount Carlyle Lodge. A mountain paradise with all the amenities where you will get to sleep in a cozy bed, have a well deserved sauna and totally relax! The next days you are free to explore your surroundings before we hike out to a vehicle that will shuttle you back to your vehicles at the start of the hike. I have contacted you before re our group doing the Sourdough Traverse. Can we book August 6 for the 5 day trip? There will be 6 or 8 of us. Hello Irene . I am currently in Baja and don’t have much contact. Please email me directly at litleleahbrown@yahoo.com or contact brian . Aug 6th is not available as I have another group already booked from the 5th to the 8th. The 10th of august to the 13th could work or sometime from aug 20 to 27 would be best for me. I have lots of other bookings this summer. Also we need to discuss the fitness abilities of your group in regards to my email. Since I am away and cannot do the proper screening, please chat with brian to make sure you are prepared for this kind of trip.